In this photo essay, Carnival Magic arrives at the Puerto Maya pier, one of three piers that are used by cruise ships calling at the island of Cozumel, Mexico. It was an early December day and the weather changed quickly and often. 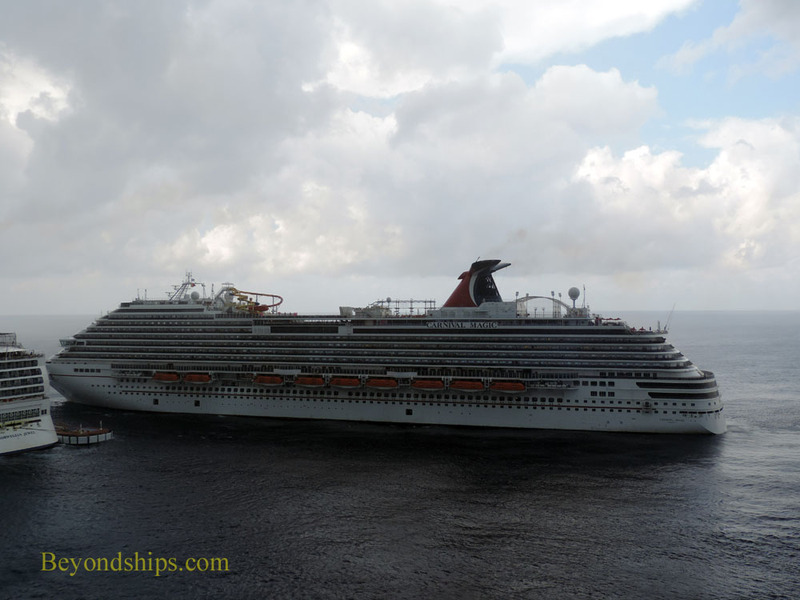 Left: Carnival Magic appears out of the mist and begins to sail along the western coast of the island. Carnival Magic is joined by the local pilot boat. As Carnival Magic makes her way along the coast, the weather begins to deteriorate. Right: Black clouds appear behind Norwegian Pearl, which is heading to the Punta Langosta pier in San Miguel, Cozumel's largest town. Below: Waiting at the Punta Langosta pier was Norwegian Dawn. It has already started to rain as Carnival Magic passes the International Pier. A full tropical downpour is underway as Magic pulls along side the Puerto Maya pier. But the rain ended as quickly as it arrived. 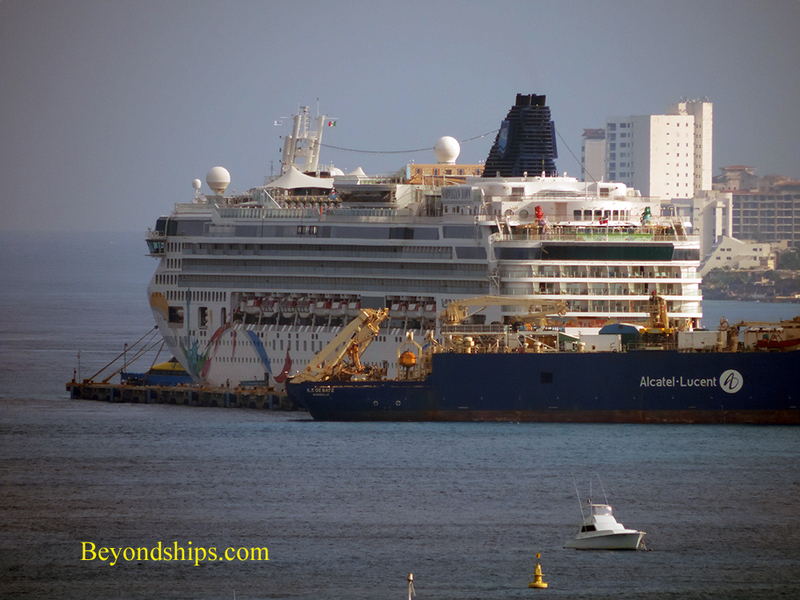 The rest of the day was full of sunshine as Carnival Magic awaited the return of her passengers from their explorations of Cozumel along side Norwegian Jewel. 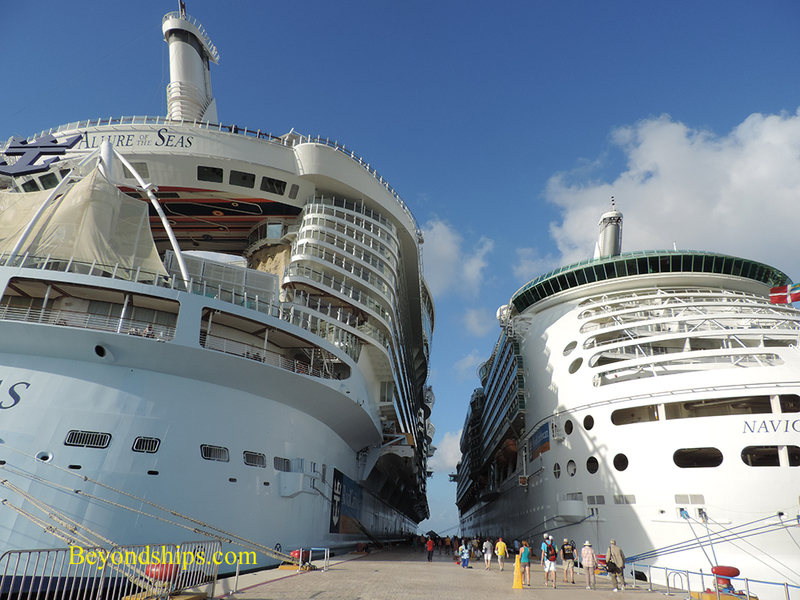 Also in Cozumel that day were Allure of the Seas and Navigator of the Seas (below).